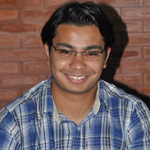 Sugat Bajracharya is a Socioeconomic Survey and Data Analyst, formally under the Livelihoods theme. He is now working closely with Dr Aditi Mukherji in the Water Land and Ecosystem initiative project dealing with the revival of springs and providing access to solar powered irrigation pumps. Prior to joining ICIMOD, Mr Bajracharya worked for the Abdul Latif Jameel Poverty Action Lab (J-PAL) South Asia, MIT as a Senior Research Associate conducting impact evaluations of programmes in health and education. He has also worked as a consultant for the World Bank, Asian Development Bank, and SNV. He holds a Master of Arts in Economics from Eastern Illinois University, USA. His research interests lie in socioeconomics, macroeconomic analysis, and impact evaluation studies.